Wes Gilchrist applies Wall Street knowledge and economic savvy to his business litigation practice. Wes is really good with numbers — an ability that sets him apart from many other litigators. After earning an economics degree from Harvard, he worked on Wall Street for four years in investment banking and equity research covering IT and software companies. He enjoys analyzing financial statements, can run a discounted cash flow model, and knows the value of a dollar and the importance of a good return — something his clients greatly appreciate. Wes leverages this unique experience when advising plaintiffs and defendants in business and financial disputes. He has represented individual investors, private equity firms, broker dealers, investment banks, national and regional commercial banks, and insurance companies in a variety of matters. 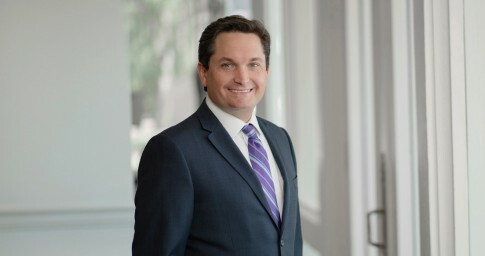 He has particular experience in cases involving stock and asset purchase agreements, accountant liability, fraudulent transfers of assets, misappropriation of trade secrets, noncompetition and nonsolicitation provisions, and interference with contractual relations. In addition to his banking and finance practice, Wes also has significant class action and complex litigation experience. He has represented defendants in antitrust, insurance and consumer protection class actions, as well as in cases involving the Telephone Consumer Protection Act (TCPA), the Fair Credit Reporting Act (FCRA), the Fair Debt Collection Practices Act (FDCPA) and the Americans with Disabilities Act (ADA). After law school, Wes clerked for Judge Ed Carnes of the U.S. Court of Appeals for the 11th Circuit. He has an active appellate practice in both the 11th Circuit and the Alabama Supreme Court. Outside of his practice, Wes enjoys spending time with his wife and keeping up with their five children. He is involved with The Community Kitchens of Birmingham, a nonprofit that operates two soup kitchens, and is a member of the Kiwanis Club of Birmingham. Wes attends All Saints Episcopal Church, where he has served on the Vestry and Finance Committee. Representing a corporate fiduciary in a multiyear breach of fiduciary duty case arising from a complex estate plan and family partnership. Obtaining the dismissal of a publicly traded software company in a taxpayer challenge to a state contract. Filing suit for a minority shareholder of a privately held defense contractor in a claim arising from repurchase of the client’s shares. Obtaining dismissal of a TCPA case for lack of personal jurisdiction.